On November 26, 2011, the United States National Aeronautics and Space Administration (NASA) launched the $2.5 billion USD Mars Science Lab Curiosity rover to Mars; a mission which was considered to be one of the first in its kind in the history of interplanetary exploration. As compared to other missions that were primarily focused on searching for water on the Red Planet, the goals of the Curiosity Rover include exploring the issue of life in the universe, as well as gain a better understanding of ancient habitable environments on other planets. As the largest and most capable rover that has ever been sent to Mars, the Curiosity Rover made its official landing on Mars on August 5, 2012. As the robotic probe made its first contact with the ground surface on Mars, it was encapsulated by a heat shield at 21,000 KM per hour (see video below). 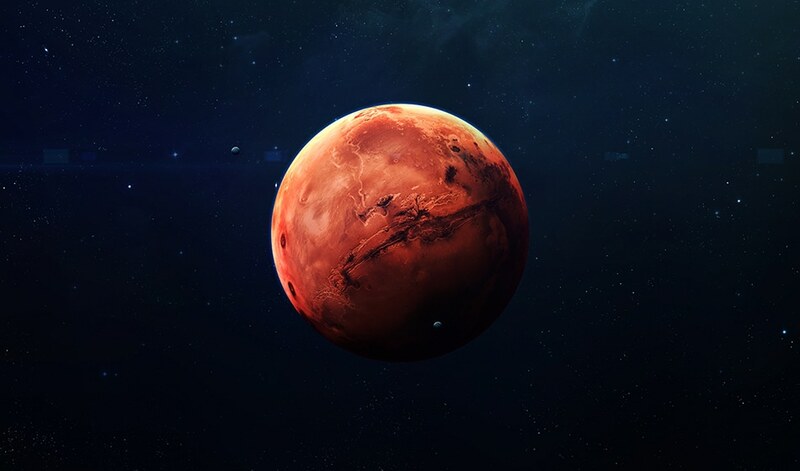 The surface features of Mars include a wide variety ranging from impact craters of volcanoes, deserts, and polar ice caps, all of which can also be found on Earth. These geological similarities have long sparked the question as to whether there was once life on Mars. The Curiosity mission therefore aims to explore the possibility of the Red Planet’s past, identify the warm and wet periods that may have manifested on this planet and determine whether any microbial species may have survived. At the moment, it will be difficult to estimate the duration of possible warm and wet time periods on this planet and whether these conditions evolved to become habitable to support life on Mars. Nasa’s Curiosity Rover robot is roughly the same size as a four-by-four vehicle; however, the Curiosity stands 7 feet tall, with a width of 9 feet and a total weight of approximately 1 ton. Additionally, the Curiosity Rover has been designed to have six wheels capable of climbing mountainous terrain. To make the Curiosity more intuitive, it has been engineered with an integrated body, brain, which is used to describe its central control system, arms and legs. The hands on this robot, which are commonly referred to as its end effectors, are each equipped with a drill that is used to break up rock structures. There is also a camera that is mounted onto the robot, which is used to obtain measurements of rock samples by collecting high-definition images. Furthermore, the Curiosity Rover is equipped with numerous advanced technological instruments that are being used to conduct various scientific studies on the Red Planet. For example, the Curiosity will use these tools to isolate organic compounds, which will help researchers move one step closer to identifying whether Mars could have supported terrestrial life. The main body of the Curiosity is encapsulated by a heat shield that helps protect the internal structure of this robot. When it was first released into space, many questioned how long the Curiosity would be able to continue its expedition on Mars. The current power source of the Curiosity is the Multi-Mission Radioisotope Thermoelectric Generator (MMRTG), which converts heat from the natural radioactive decay of plutonium into electricity in which the rover can utilize for maintaining movement, as well as powering its instruments and communicating with Earth. The power pack that resembles a tail-like structure helps pump a heat flow to the computer and internal electronic systems to keep these components fully functional in a planetary atmosphere that has an average temperature of approximately (-60 °C (80 °F). The Curiosity is also equipped with a drilling system that is used to grind solid rock samples into power. The robot arm aids the delivery of the rock sample through a funnel into the robot’s laboratory to analyze the material to identify whether the sample contains any minerals and/or any traces of organic compounds. Following animation by the NASA jet Propulsion Laboratory in California depicts the key events to this robot whilst on Mars. The back of the robot, which is the Curiosity’s primary communication system, carries both high- and low-gain antennas along with an Observation Tray. To allow for smooth turning and reversal maneuvers by the robot, the engineers of NASA’s Jet Propulsion Laboratory incorporated hazard avoidance cameras to the backside of this machine, which will also help maintain a ground view for the robot throughout the mission. Curiosity’s neck and head components are made of an array of cameras that effectively become the eyes to this robot to give a head-height view of the planet’s environment. The robot supports a rock vaporising laser gun that can zap rocks in front of it to clear the path ahead and give a less challenging surface to drive over without impact to the mechanical body. The research team is currently e stressing the need for the Curiosity to explore Gale, which is a crater on Mars located near the northwest part of the Aeolis quadrangle and is estimated to be approximately 3.5–3.8 billion years old. Exploring the composition of rocks in this crater, as well as that of the sedimentary rocks formed from eroded elements, could reveal promising data on the evolution of ancient Mars. Scientist have emphasized the need to study the Gale Crater, as it shows possible signs that water may have occupied the planet at some point during its early history. Images and measurements obtained by the Curiosity revealed that veins present within the rock structure of the Gale Crater indicate that flows previously existed within the Crater’s ground. This early indication of water at Gale Crater led researchers from the Weizmann Institute of Science in Israel to further examine the sediment deposits of Gale in order to better understand the dynamics of early climate in Mars. Through the use of hydrology models, these researchers inferred that evidence of previous erosion indicates a semiarid past in which both surface water and ground water existed at Gale Crater. The Weizmann researchers also established that both of these water supplies interacted with each other as a hydrological system, in which cycles of water constantly moved between the different layers. This movement was hypothesized to provide sufficient water for Gale Crater, despite the arid climate that was present in Mars at that time. In late March of 2019, NASA released photographs of 15 different “Martian mushroom” species, as well as algae and lichens that were obtained by both the Curiosity and Opportunity rovers. The Martian mushrooms appear to be sedimentary structures that exhibit mushroom shapes, stems, stalks and spores on its surrounding surface. Researchers from the National Research Council, such as Dr. Vincenzo Rizzo, have also concluded that Mars experiences seasonal fluctuations in their atmospheric methane levels. Since 90% of terrestrial methane is biological in its origin, the discovery of Martian methane fluctuations also lead researchers to conclude that there is clear evidence of life present on the Red Planet.